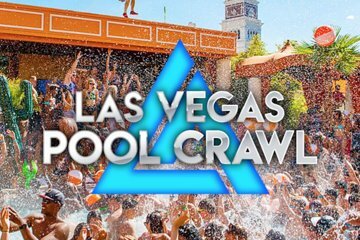 Fly by long entrance lines and skip over cover charges with this Las Vegas pool party tour. Visit up to three of the best day parties in Sin City—no guesswork required—and get drink specials at each location. Plus, take a ride on a party bus between two of the pools; an open bar on board makes sure the party doesn’t stop between destinations. SWIM ATTIRE IS REQUIRED FOR ENTRY.